I’m always up for trying new mascara, but as you all know, I’m a Maybelline mascara junkie. 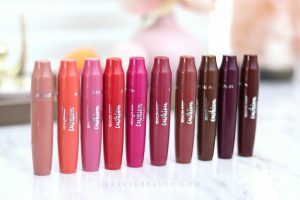 The Falsies has always been my favorite, although I have recently started to branch out and explore other mascaras out there. A couple of months ago, I filmed this Avon haul which included the Avon Super Drama Mascara. There was a buy-one-get-one FREE sale when I purchased, but Avon’s mascaras are all regularly $8 and under. The Super Drama Waterproof Mascara claims to be smudge and flake resistant, and offer instant volume and length. The wand is super funky. It’s got this spiral shape to it, and it’s pretty thin and straight. It also doesn’t have the regular bristles you’d find on an average mascara. It has strips of plastic arranged like a propeller that picks up a lot of product from the tube. I find it extremely easy to apply with it because of the size, and the plastic “bristles” separate my lashes pretty well. When I used it for the first time, I was actually pretty disappointed. I got clumps and my lashes weren’t separated at ALL. But after the brush and formula got more air exposure, the formula evened out (?) and became a lot easier to work with. Now when I use the mascara, I get no clumps at all and even application. Super Drama lives up to its claims of instant volume and length. It thickens my lashes and extends them noticeably. I wish my lashes looked a little more fuller, but only a couple mascaras I’ve found have been able to do that successfully. The drama holds up all day long, which is a huge plus. At the end of the day my eyelashes look as great as they did in the morning. As for the “waterproof” aspect of this mascara, it holds up a little better than others, minimal flaking or smudging occurs with every-day moisture. For the buy-one-get-one-free deal I snagged, I technically got this mascara for $4. So for $4, it’s a fantastic freaking mascara. I don’t think I would purchase the mascara if this deal wasn’t going on, however. 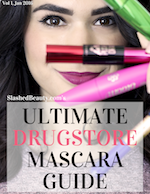 I just feel like there are mascaras that are equivalent or better in performance that you can get more conveniently- and without paying shipping- at your local drugstore.